Chez Lapin Restaurant sits in an enviable position in the heart of Porto, right on the banks of the Douro River, which weaves its way through the city centre. 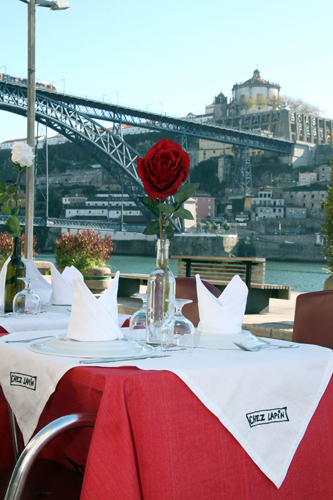 Porto has grown a reputation in recent years for its forward-looking, contemporary cuisine, with many restaurants offering modern, sophisticated dining rooms. 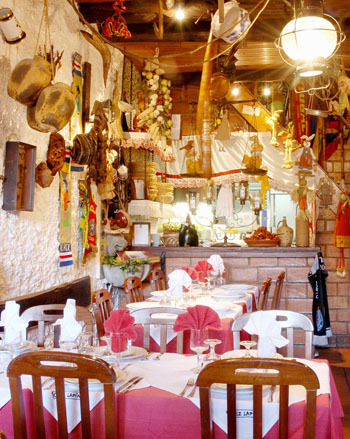 Chez Lapin Restaurant provides the perfect antidote to this, with a traditional feel, folksy décor and traditionally warm welcome that will leave you with lasting good memories of your visit to Portugal. 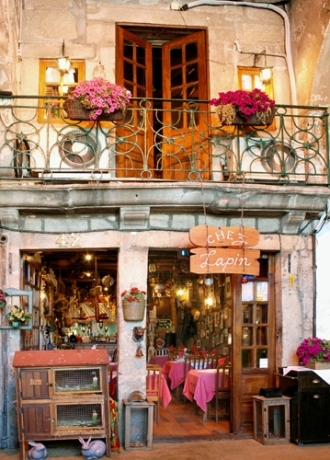 Chez Lapin Restaurant is part of the Issimo group, a family-run company that started in business some thirty years ago and now owns several restaurants in and around Porto (Chez Lapin, Casa Victorino and the amusingly named Downing Street). The family believes in welcoming its visitors with open arms, creating a warm ambience that adds to their enjoyment of the meal. Chez Lapin is set in a converted stable block ? once the stables that housed the horses that were used to transport the goods from the ships that docked at Porto’s Ribeira, the main centre of the port area. 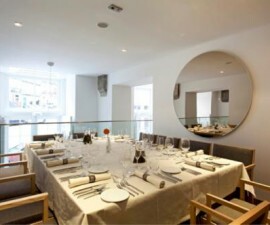 Following a brief stint as a tavern, it was bought by the Almeida family and sensitively renovated to create one of the city’s most distinctive dining rooms. The dining area is conveniently organised into several individual areas, creating the perfect ambience no matter what the size of your group. The ground floor seats 30 people, as does the first floor, along with a 13-person area to the side. 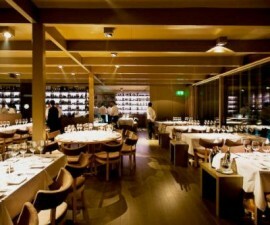 There are also two VIP rooms and a large terrace with a capacity for 75. Chez Lapin is popular however, so despite its relatively generous capacity it is worth making a reservation in order to avoid disappointment. Those anticipating a French theme to the menu will have a surprise, but those wishing to sample some of the best that northern Portugal has to offer will not be disappointed. 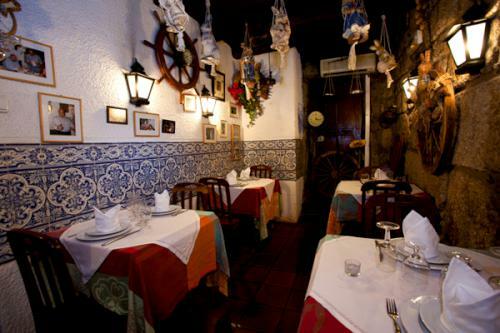 The traditional yet quirky setting is matched by the traditional dishes on offer. Favourites that every visitor should sample during their stay in Portugal include bacalhau a lagareiro (salt cod with potatoes), sardines with rice and beans, and beef medallions with port wine. 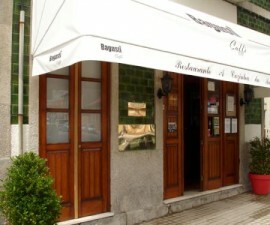 Expect to spend between 15 and 20 euros per head, with a strong focus on seafood. 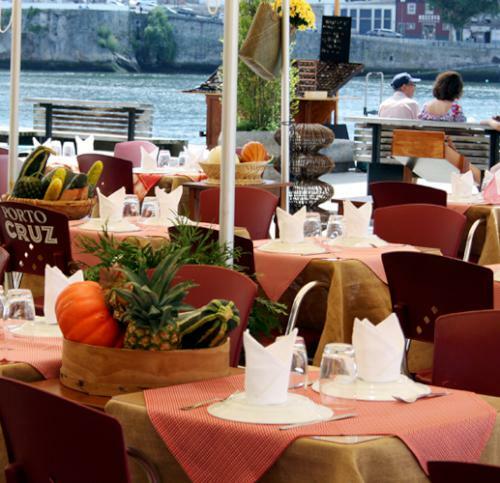 Chez Lapin enjoys one of the best locations in Porto, right on the Cais da Ribeira, and is well worth a visit.